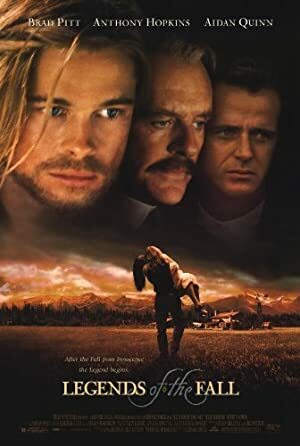 Legends of the Fall (1994) – What's New on Netflix Canada Today! In early 20th-century Montana, Col. William Ludlow lives in the wilderness with his sons, Tristan, Alfred and Samuel. Eventually, the unconventional but close-knit family encounters tragedy when Samuel is killed in World War I. Tristan and Alfred survive their tours of duty, but, soon after they return home, both men fall for Samuel’s gorgeous fiancée, Susannah, and their intense rivalry begins to destroy the family.